Although I love light green nail shades for Spring and Summer and loved essie nail color, in fashion playground as soon as I saw it - in the back of my mind I thought I already had something like this. But as it turned out, when I checked in my rather vast polish collection (including all my Essie's ) and I still couldn't find anything exactly like it - which was great to know! Fashion playground reflects the colors of the season, yet has a chic retro feel (like those retro princess phones or typewriters from the 60's), that can take you though many times of year and occasions. This particular green shade is a bit more on the Mint green than Pistachio side. But another way this different from some of the light green shades on the market is that this shade has a very subtle shimmer (seen more in natural daylight). The shimmer is a very fine silver and plays with the green in the color to make it also look more blue at times. It's a really unique, pretty shade. The formula is on the thicker side and very creamy, but in order to get a true Opaque finish, you'll need two coats. The first coat was a little bit streaky, but once I applied (a thicker) second coat, it was beautiful, even and shiny. 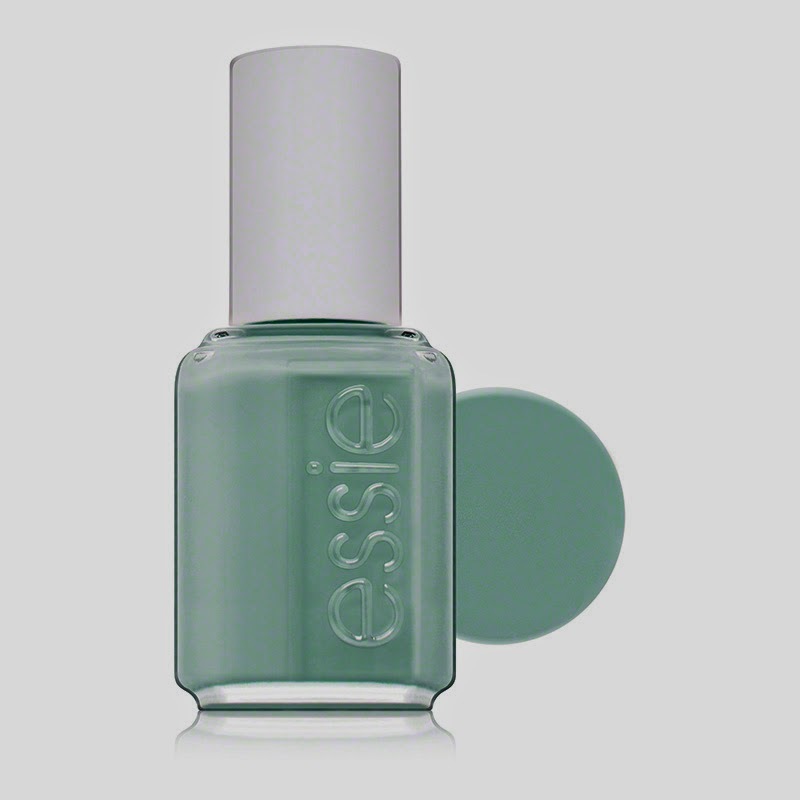 *This product was provided courtesy of Essie PR for reviewing purposes.